Rocking chairs have always had something cozy and warm in them. Grandma sitting in a rocking chair in front of the fireplace, knitting. Grandpa sitting in a rocking chair in front of the patio, smoking his pipe and staring into the sunset. Well, the rocking chair might be a traditional piece of furniture, but their comfort and appeal did not fade even in modern times. New choices of colours and materials make them the perfect choice for the modern man’s need in a comfortable and cozy home environment. 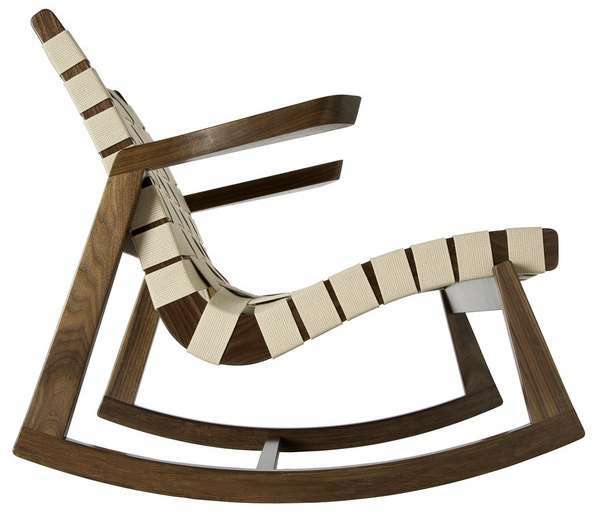 Below you can find some modern, but comfortable varieties of rocking chairs by Rapson. 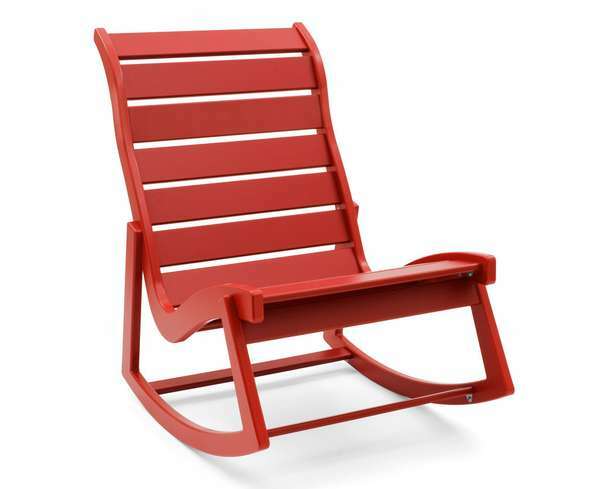 The Rapson Greenbelt Rocker is one of just a handful of modern classics. Its form has been first introduced in 1945 by H. G. Knoll, and it has been sought after ever since. Its a fusion of the traditional American woodcraft and modern lines, made by American craftsment in a variety of materials and colours. 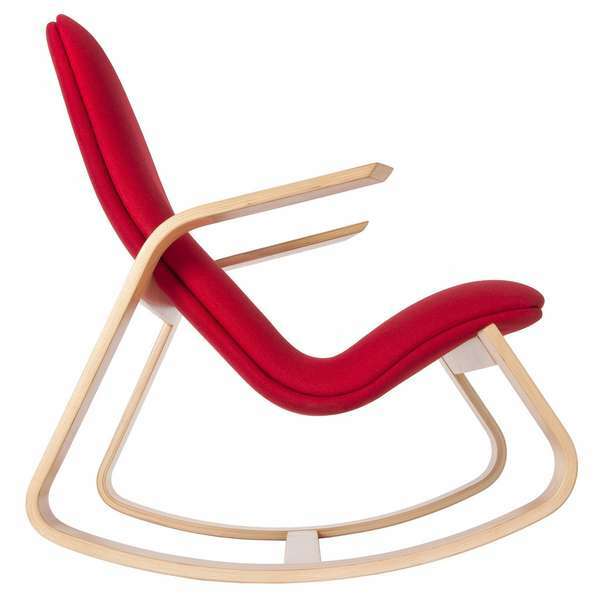 The Highback Rapson Greenbelt Rocker is based on a design inked by Ralph Rapson for the influential Organic Design Competition in 1940. It has a contoured highback that makes it the choice for the taller of us. It is available in walnut or maple, in four stylish colours, and it’s made by order by genuine American craftsment in New York and Minnesota. The Rapson Rapid Rocker is the “future from the past”, with its futuristic design based on Ralph Rapson’s drawings from the 1930s. Its frame is made of maple-ply, ensuring a smooth rock. The seat is double-backed, foam-cushioned, form-fitting, ensuring your rocking experience to be the most comfortable. It is available in seven choice colours. 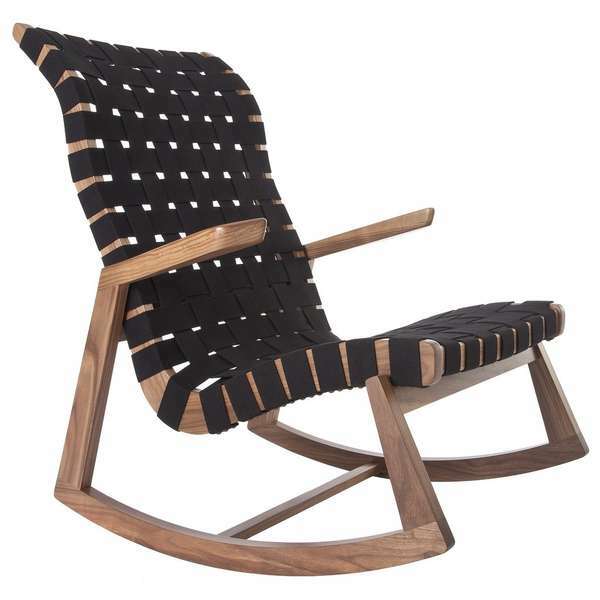 The Rapson Highback Rocker by Loll Designs is a great outdoors rocking chair. It is simple and comfortable, and is available in many colours, including charcoal, sand, black and apple. These rocking chairs, fusing tradition with modern designs and materials, will surely provide a great, comfortable experience. By the way, do not forget the fireplace!